Commercial work can require skills and experience beyond those needed for residential electrical work. PDX Electric has the skills, experience, and resources necessary to complete projects on time and in budget, to the complete satisfaction of both contractors and customers. PDX Electric can troubleshoot a wide variety of electrical problems your business may encounter. With our timely service, PDX Electric will keep your business up and running with no or little downtime. 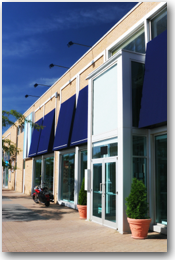 We specialize in a number of commercial electrical services including maintenance. As a business, it’s important to ensure that you have proper circuits installed to accommodate new equipment or greater electrical loads. PDX Electric can help diagnose potential problems and prevent those problems at a fair rate. PDX Electric also installs, wires, or repairs commercial lighting for restaurants, retail spaces, or offices. Whether you have or want accent lighting, recessed lighting, or other unique lighting features, PDX Electric has the experience to optimize your business’ lighting. We additionally perform tenant improvements including general electrical installation and repairs. Our professional approach ensures that projects get done in a timely manner and within deadlines. For your commercial electrical needs, PDX Electric provides top-notch service with the utmost professionalism and modest rates. Call us at 503-997-1989 or Request a Free Estimate today!